Don’t worry, be happy. That was Dr Oz’s motto today. He said that there are things you can do to boost your happiness, which is great timing. Between going back to school and the summer ending, my mood was always weird around this time of year. Now I’ll probably get a boost of happy from the kids in my apartment complex going back to school. 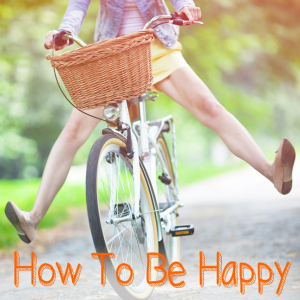 Dr Oz and author of Raising Happiness Christine Carter looked at what happiness is and how to attain it through decluttering your life. Author of Raising Happiness, Christine Carter has ways for you to put aside any negative energy and let the light and peace into your life. These are some things that I bet affect a lot of us. I definitely struggle with perfectionism everyday. So what can we do about this? Well, of course Dr Oz brought on Christine Carter for a reason. Some ways you can bring happiness into your life are the following: decluttering your life, listening to music, and having a daily routine. Declutter your home. Pick up your clothes, get organized in your home office, and make your bed! Listen to music. My favorite is John Mayer or Sondre Lerche if you need to come up from an angry place. If you’re looking for a boost of fun, I suggest Katy Perry or Sheryl Crow. Make a routine. Stick to a schedule, you’ll be surprised how much fits into a day! Carter also recommends practicing gratitude in your daily life. Dr Oz’s happiness is found in his one day a week working at the hospital. He gets so much joy from working one on one with patients. In a big surprise move, Dr Oz invited a woman on stage. Her boyfriend came out and proposed on Dr Oz’s stage with red roses. Congratulations!